The data landscape is ever evolving, and procurement is bound to feel the impacts of these changes. These four trends in data analytics are expected to continue through the coming year and will have serious implications for Procurement. Data is becoming an essential part of modern business. In the growing landscape of data technologies, firms need an expert to build out their data & analytics programs, enter: Chief Data Officers (CDOs). The CDOs primary responsibility is to design in-house analytical and technical capacities that can seamlessly process, manage, and analyze data to support and drive business objectives. Such an individual must not only have comprehensive knowledge of data technologies and business strategy, but also understand how to bridge the gap between the two. This gap is most often the result of lacked knowledge and poor communication and is a common roadblock for many analytics organizations. CDOs will have a significant role in enhancing the performance of procurement organizations. Given that procurement is an essential part of business objectives, part of the CDOs job will be to ensure that procurement teams have the analytical capacity they need to achieve their benchmarks and stay competitive in the marketplace. With a CDO in place, you can expect procurement analytics to get the management and resources it needs to flourish. Some of the hottest new analytics technologies today involve the decentralization of data processes. Decentralization aims to address the storage, speed and processing limitations associated with massive centralized cloud-based data systems by distributing these processes across nodes (sub-systems). Edge Computing is a decentralized technology that distributes the processing of data across a set of interconnected devices in a network that can be used to collect, store, and present data back to an end user. In other words, data is maintained at the "edges" of the system. Recently developed models of decentralized, or federated data governance are better suited for some organizations. Instead of using strict company-wide methods to ensure data quality, decentralized governance allows different models and methods to be utilized across different business strata. It is likely that most organizations will begin to perfect hybrid models that incorporate both top down and local data governance practices. New decentralized technologies and concepts will integrate in to the various data systems used by procurement. Edge computing, for example, will increase efficiency, and lower costs involved with logistics by distributing collection, analysis, and reporting to end-user devices throughout the logistics network. The Internet of Things is composed of billions of internet connected devices that share information and control different systems. One exciting new advancement harnesses IoT to enable real-time processing of data. In other words, data is analyzed as it is collected. This breakthrough is particularly impactful in that it allows predictive analytics and machine learning models to produce insights, and update themselves in real time. By eliminating the time consumed sending data through a pipeline, quantitative information can yield insights instantaneously. Even better, machine learning models can train and improve themselves based on up to date data, ensuring that the models are as well. Expanding on the application described in the previous section, streaming data will significantly improve a procurement organizations logistics management. Managers will always be sure to have the most up to date insights about the status of their freight, and distribution centers, while predictive models will always be tailored to the most current information. 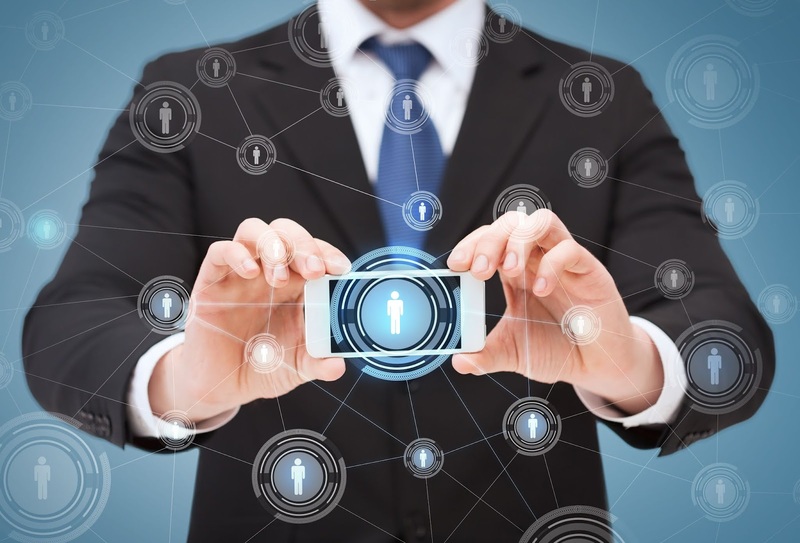 IoT data collection is ubiquitous in the modern technological landscape. Companies are continuously harvesting data from the countless nodes in their technology systems. So much data is produced in fact, that there exist vast pools of unused, unstructured data; this is referred to as Dark Data (data that in its current state provides no information to users). As data storage and migration technologies continue to advance, it gets easier and easier for this data to be migrated to the cloud, and harnessed using cloud-based predictive analytics. Every data-empowered organization will benefit as access to dark data improves, and procurement is no exception. FedEx just enjoyed a record peak season, with 67 percent of packages delivered ahead of schedule. European markets dealing with Brexit uncertainty in the U.K. and recent unrest in Germany, France and Italy. In response, FedEx has chosen to offer voluntary buyouts to U.S. and international employees in 2019 and 2020, yet is still moving forward with investing millions in its world hub at the Memphis International Airport. Depending on the number of employees who accept the voluntary buyouts, the pre-tax cost to FedEx could total somewhere between $450 and $575 million, Supply Chain Dive reported. In return, the company anticipates it will begin saving anywhere from $225 to $275 million per year, beginning in the year 2020. CEO Fred Smith told analysts that some of the cuts could be justified by years-long tech upgrade projects that would make some IT staff obsolete. "We believe new productivity enhancing tools from accounting box, legal system analytics and predictive AI etc. will allow us to operate our company with fewer staff positions going forward," Smith said to analysts, while also stressing that technology advances were creating better margins on the ground delivery side of FedEx's business, according to Supply Chain Dive. 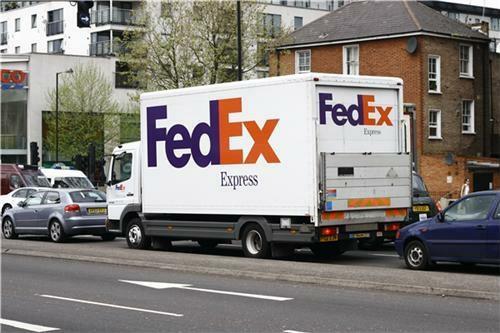 In the company's quarterly SEC filing, FedEx wrote that, "Growth in U.S. deferred package volumes and higher operating costs in our FedEx Express operations negatively impacted margins during the first half of 2019." Most of the American employees offered buyouts will be culled from the FedEx Express and FedEx Services staff, and will be offered four weeks of pay for every year that they have worked for the company. The move away from Express service in favor of freight is the primary reason for the European buyouts. The company is also focusing on revenue and margins, as well as the ongoing integration of 3PL TNT. FedEx is still investing in improvements to its world hub in Memphis, Tennessee. Despite the employee cutbacks, FedEx is not shying away from the $1 billion upgrade for its Memphis hub that the company announced in March, and which is meant to begin in 2019 and run through 2025. The big projects are meant to modernizing the large facility, which consumes much of Memphis International Airport, to enable FedEx's increasingly technology-driven operations. According to USA Today, one recent FedEx Express permit application involves "secondary 25 site demolition, underground utilities, footings and foundation" at the airport that will total $15 million. Another permit calls for a $3.8 million "interior renovation of 3 level office facility." Such outlays may seem surprising given the weak global economic situation and corresponding buyouts. 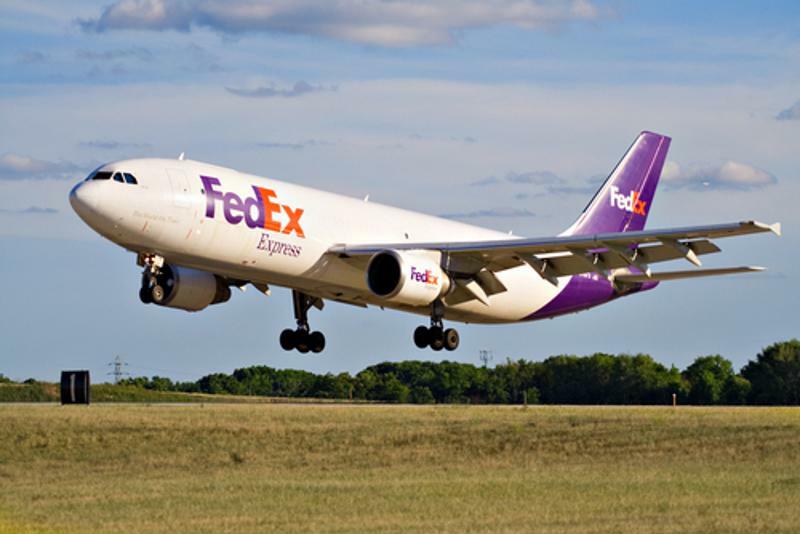 On a recent earnings call, FedEx CFO Alan B. Graf Jr. stressed the imperative of investing in Memphis, as well as the company's Indianapolis hub, and modernizing upgrades for its Express airplane fleet. "As [CEO Fred Smith] mentioned, we're planning for the next 25 years, and the technology that comes with those expansions and the technology that comes on the airplanes and the reliability are vital to us," said Graf. "So, it's a balancing act." That "balancing act" may prove especially difficult to maintain over the next few months, considering the company's dreary forecast for the remainder of the fiscal year. "It's going to be a little bit tougher this year," Graf admitted, USA Today reported. "We probably will slow some things down to see what happens. But at the end of the day, we still need to move forward with the majority of the programs that we've got in place." The electronic logging device mandate took effect just over a year ago with the intention of enforcing safety regulations for drivers, as well as instituting an easier and faster way to track, manage, and share records of duty status data. And while ELDs have had an undeniable impact on the world of trucking, that impact has had reverberations that have been felt in the air and sea, as well. ELDs synchronize with engines to automatically record vehicle operation record data, with the primary purpose of creating accurate hours of service records. This new automated method of obtaining HOS records replaces manual paper logs and the earlier Automatic On-Board Recording Devices. The mandate was passed for the purpose of cracking down on excessive commercial driving, as driver fatigue is known to be a cause of automotive accidents. However, the rise of intermodal transportation means that such a change to the trucking industry has ripple effects that touch other elements of the supply chain. In February, the ELD mandate was blamed for ocean carriers idling in port and waiting for trucks to become available to unload them. While the rise of U.S. port volume and concurrent trucker shortage were also instrumental in creating the bottlenecks, ELDs were also suspected of being part of the problem. As shippers seek a way around the regulations, there has also been an increase in air freight volumes. The rise of intermodal transportation means that the ELD mandate has ripple effects that touch other elements of the supply chain. International Air Transport Association data shows that $17.5 billion of goods travel via air freight, representing 35 percent of all world trade by value, according to Supply Chain Dive. In April of 2018, the month that the ELD mandate began to be enforced, IATA reported a 3.2 percent expansion in North American airlines' freight volumes compared to the same period a year earlier. "The front and back end of that intermodal move gets covered by a truck and is affected by ELD, driver shortages, improving economy — all the factors constraining capacity for shippers," said Michael Notarangeli, Executive Vice President of Logistics for managing consultant company Maine Pointe. The majority of air freight is flown directly into the region where it's being delivered or picked up, but in the event that cargo must be taken to a region separate and away from the airport, the ELD mandate can once again come into play. And when that happens, it often becomes necessary to pay for team rather than solo service, which drives up the rate. "[The rates] have slowed down, but I do not think they will drop to pre-ELD levels," Frank Guenzerodt, the President and CEO of Dachser U.S.A. Air & Sea Logistics, told Supply Chain Dive. "The rates we have now will be the new norm moving forward. Many carriers have had to renegotiate agreed upon rates to mitigate their losses." Like long distances, large cargo volumes are also driving up shipping costs. Busy airports that have tons of freight and mail passing through them also tend to have congestion issues as trucks wait in line to pick up or drop off loads. Such logjams can lead to delayed deliveries, which can affect other parts of the supply chain, with delays in product deliveries potentially leading to long, costly shutdowns of lines at the manufacturer. The alternative, according to industry experts, is to look upstream for other solutions. "The alternatives are managing the supply chain from the beginning to reduce cost," said Notarangeli. "Shipping freight a day or days earlier when available gives us the time to still deliver on a specified due date without having to pay for hotshots [urgent-delivery freight companies] or teams." 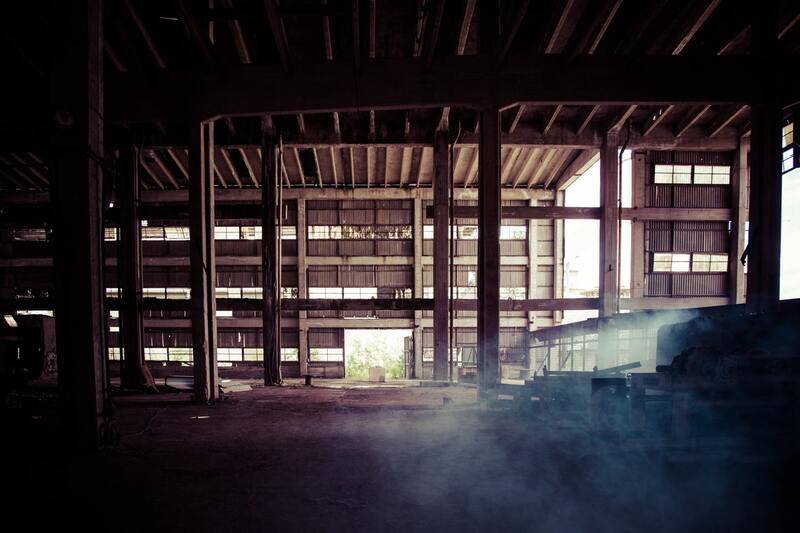 What's Next for Procurement and Supply Chain Management? As another eventful year draws to a close, Source One’s Procurement consultants are publishing their predictions for the year ahead. 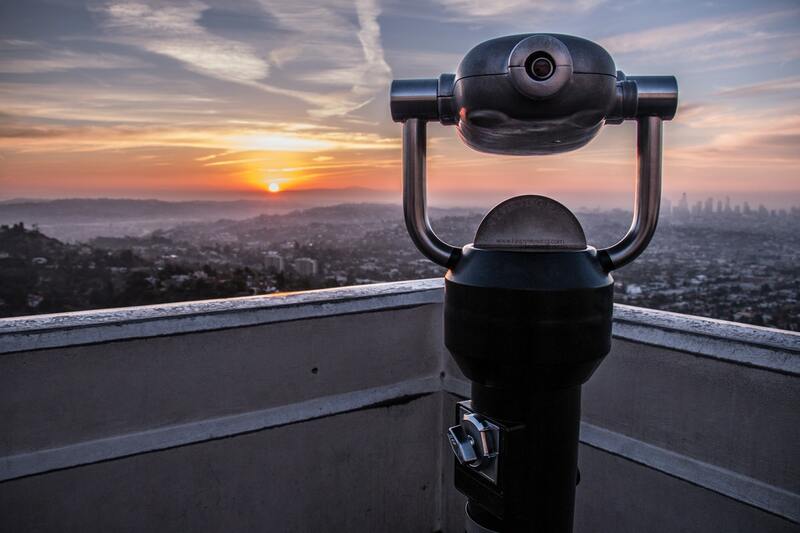 In Procurement in 2019, the experts in spend management reflect on the last twelve months and set their sights on the exciting future ahead. Publishing predictions has become an annual tradition for Source One. The team of expert consultants welcomes the opportunity to survey the Supply Management landscape and offer their thoughts on its most prevailing subjects. The value of data science and cyber security skills. The increasing importance of business ethics. 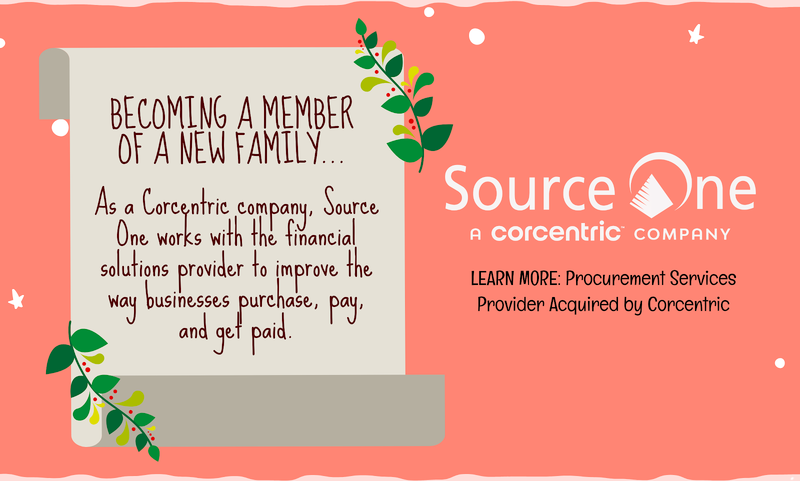 Source One looks ahead to another year of elevating Procurement and advocating for its strategic value. 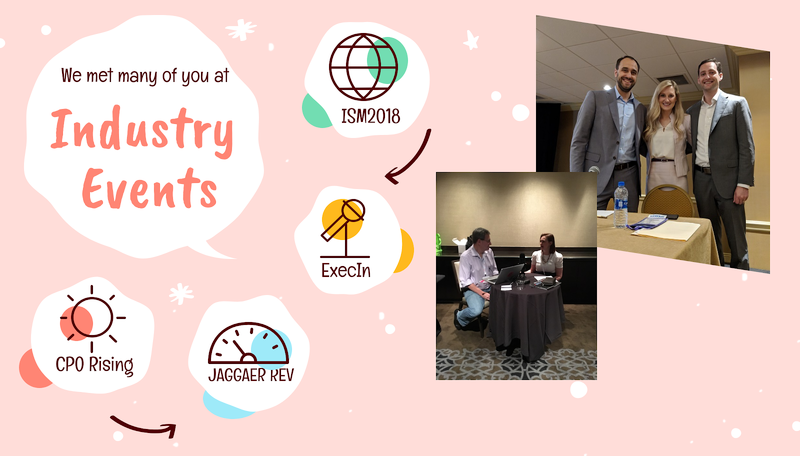 In April, they’ll host industry leaders at the ExecIn Forum and throughout the year they’ll publish thought leadership, refine their service offering, and unveil the newest iteration of their eSourcing platform. Though it's often derided as a "toaster on wheels," there aren't many toasters, mobile or otherwise, that have the potential to disrupt the supply chain that the Nuro R1 possesses. The Silicon Valley startup Nuro was founded by two veterans of Google's self-driving car program, and is staffed by robotics professionals from Uber, Tesla, Apple and General Motors. Instead of manufacturing autonomous vehicles for personal use, the company is focused on building small autonomous vans dedicated to delivering goods ordered online or at local shops. And now after several months of testing, the R1, Nuro's small, toaster-shaped autonomous van, has officially begun delivering groceries to Kroger customers in Arizona. It was announced in June that Nuro had entered into a partnership with Kroger, America's largest supermarket chain, to "redefine the grocery customer experience for Americans by piloting an on-road, fully autonomous delivery experience." In August, the two companies officially launched their unmanned grocery delivery pilot program in Scottsdale, Arizona. The initial test run started small, with only a single participating store, which customers could order from online by using the store's website or an app. Users were able to schedule same-day or next-day deliveries, and were charged a $5.95 delivery fee for their orders. While the R1 was still in development, the pilot program instead used a fleet of Nissan Leaf and Toyota Prius test vehicles equipped with autonomous-driving hardware and human safety drivers sitting behind the wheel in case of an emergency. In December, Kroger announced that the pilot program had officially reached active implementation. According to reports, the Nuro R1 travels on mapped out public roads at speeds of 25 miles per hour without the aid of a driver, and comes complete with an array of sensors and cameras that enable autonomy, and a rooftop radar and light detection and ranging sensor. The vehicle has also been designed to carry up to 20 grocery bags, as well as items that are not necessarily food and drink. There is still a $5.95 charge to transport local deliveries, with no minimum order requirement for same- or next-day deliveries. Customers use a smartphone app to access the vehicle's delivery compartments and collect their order upon arrival. For now, service remains isolated to only Scottsdale. Arizona has been a breeding ground for autonomous vehicle testing, as the state has pursued looser regulations on self-driving cars in order to attract such businesses. There are also reports that the vehicle does not travel in inclimate weather, raising questions about how viable the technology would prove in environments with more volatile climates and more intense traffic situations than are found in the sunny suburb of Scottsdale. In its present form, the Nuro R1 provides a convenience for grocery shoppers, while threatening the niche business models of human-operated grocery delivery services such as AmazonFresh, Google Express and Instacart Express. Yet as the R1 and similar autonomous vehicles begin to deliver other types of products, larger entities such as FedEx, UPS and the United States Postal Service could begin to lose market share. Self-driving cars and trucks are also poised to revolutionize freight movement, disrupting the major supply chain link and likely displacing many of the workers participating in it. As Supply Chain Dive notes, the regulatory environment for autonomous vehicles is still murky, making it difficult to predict when and to what degree such technology will be able to have a profound impact on industry. Still, with Kroger using the Nuro R1 to make driverless grocery deliveries, and Walmart conducting similar autonomous tests with Waymo and Ford Motor Company, there are clear signs of a tectonic shift in the supply chain on the horizon. 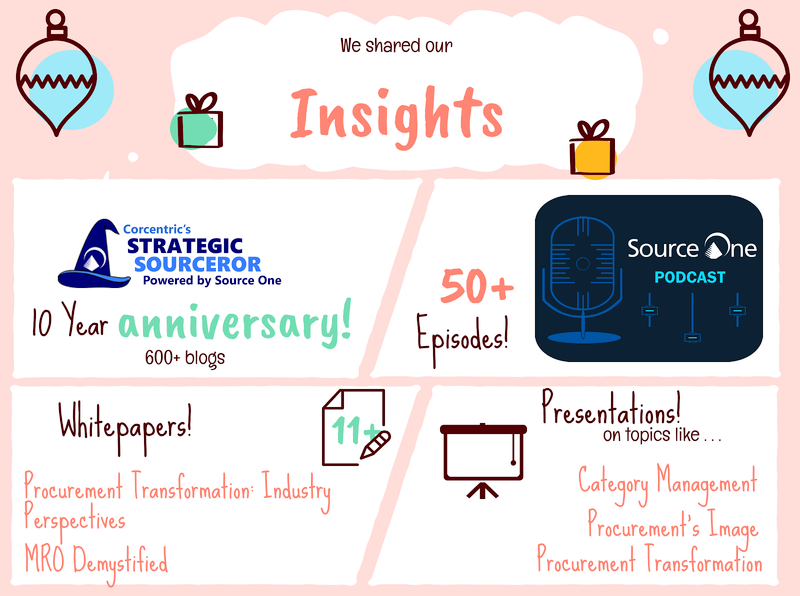 2018 was perhaps the most exciting year in Source One's history. Want to look back at some of the highlights? 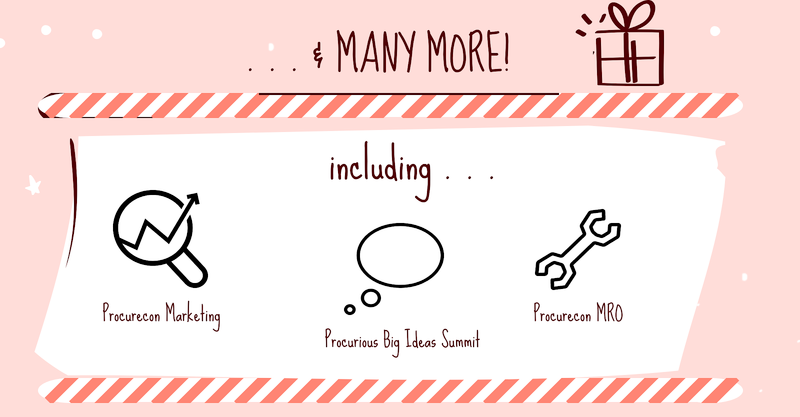 Check out Source One's holiday card for a quick recap of the events and publications that made it a year to remember. See you in 2019! Even the savviest Procurement professionals would agree that MRO spend presents consistent challenges. Composed of thousands of essential SKUs, the category gets all the more complicated when organizations take a hands-off approach. Source One's latest whitepaper series offers the tips and best practices your company needs to unlearn bad habits and get this critical category under management. On the latest episode of the Source One Podcast, Andrew Jones suggests that a great recruiter is a lot like old Saint Nick. "We've seen everything," he says, "and we see everything." Advocating for total honesty and transparency, Jones describes shares a few anecdotes and offers the strategies he employs to show clients that he's trustworthy himself. 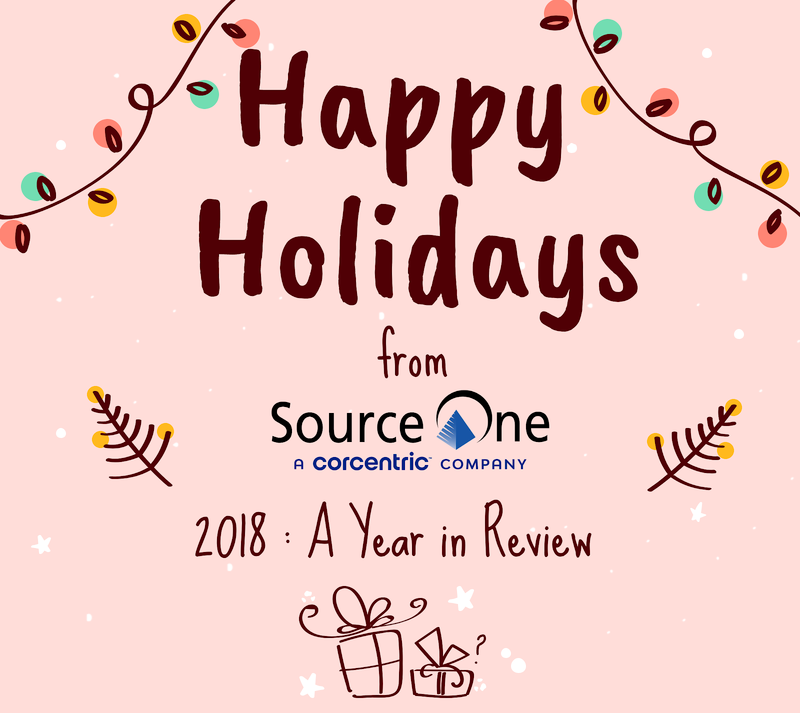 2018 was another exciting year for everyone here at Source One. Throughout the year, we shared our insights, networked with industry peers, and expanded our service offering into new areas. We couldn't have done it without all of you. 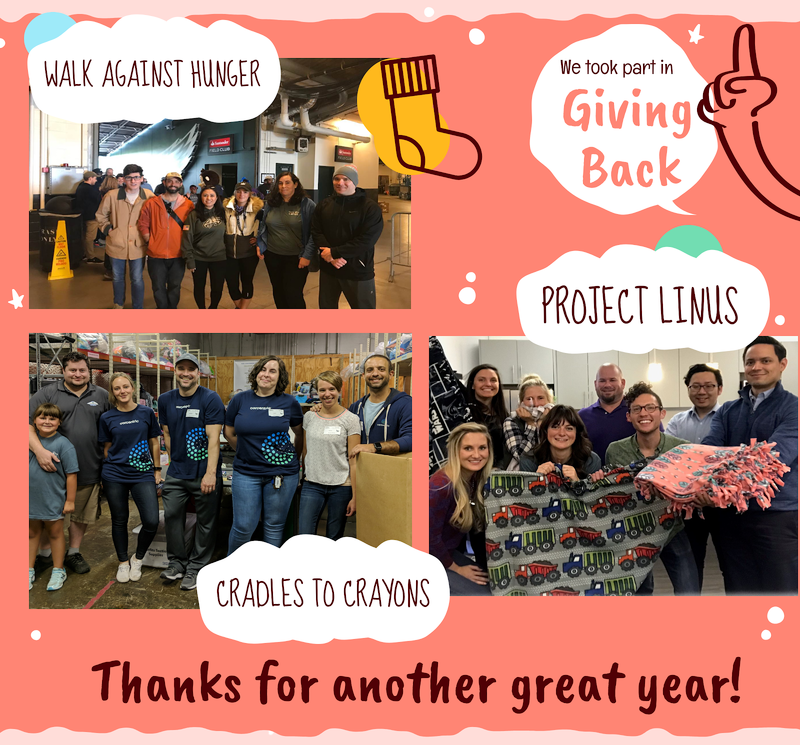 Check out our Year in Review to see some of this year's highlights. The following blog comes to us from Rae Steinbach of 15Five. The verdict is in: annual performance reviews are ineffective and typically disliked by everyone involved. That doesn’t mean managers and HR professionals should abandon the idea of evaluating employee performance. It simply means they need to adopt better ways of doing so. After all, most employees actually want more feedback than they currently receive. The solution is continuous performance management. By providing more consistent feedback and focusing on clear, short-term objectives, managers can boost employee engagement and overall productivity. However, utilizing the management by objectives process requires more than just knowing you should adopt this approach. It’s essential to know how to incorporate this method into your company structure. Keep these points in mind to successfully make the shift. Start Now Again, if you rely on annual performance reviews, they aren’t delivering any genuine value for your business. The first step in switching to continuous performance management is simply ditching your current process. Once you do so, you’ll have more freedom to develop a new one. 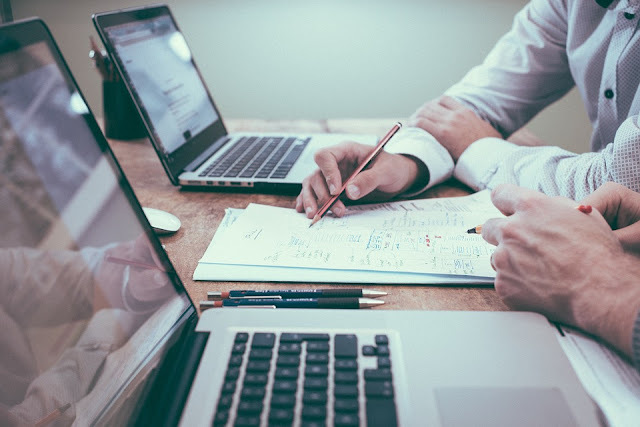 Discuss the Topic There’s a chance some managers within your organization already conduct some form of continuous performance evaluation. It may be informal, like a weekly email check-in. However, it’s important to find out what managers are already doing to evaluate employee performance on a frequent basis. This can help you determine how to design a new system that works for everyone. Once you have developed a new process, you need to convince senior leadership and management to embrace it. This is easier if HR creates a presentation highlighting the clear benefits it offers. For instance, you could highlight the fact that a continuous process provides employees with actionable feedback. Thus, they’re more likely to address weaknesses in a timely manner. It also boosts engagement among employees by giving them more opportunities to grow and develop. Offer Training Getting management to accept the new system is important. That said, you also need to be sure they know how to leverage it effectively. Train all managers thoroughly to ensure they understand the process. When you’re ready to explain the new performance management format to employees, they might also need some degree of training to understand their roles. Use the Right Tools Luckily, you don’t need to design an entirely new performance management system on your own. Software can streamline the process. With the right tools, managers can efficiently provide employees with regular feedback. This makes the transition easier for everyone. Again, don’t neglect taking these steps. The way you evaluate employees now almost certainly isn’t working. It’s time to shift to a method that does work. Rae is a graduate of Tufts University with a combined International Relations and Chinese degree. After spending time living and working abroad in China, she returned to NYC to pursue her career and continue curating quality content. Rae is passionate about travel, food, and writing, of course. Follow Rae on Twitter @araesininthesun. The following blog comes to us from Megan Rey Nichols of Schooled by Science. Moving successfully through life often means working to build and optimize relationships - successfully managing a supply chain is no different. In fact, relationships are crucial to a supply chain's stability and success in both the short- and long term. Knowing why this is, and having an understanding of the different types of relationships at work within the supply chain, can bring significant benefits to your organization and help keep things running smoothly. Suppliers represent some of the most important relationships you'll invest in. 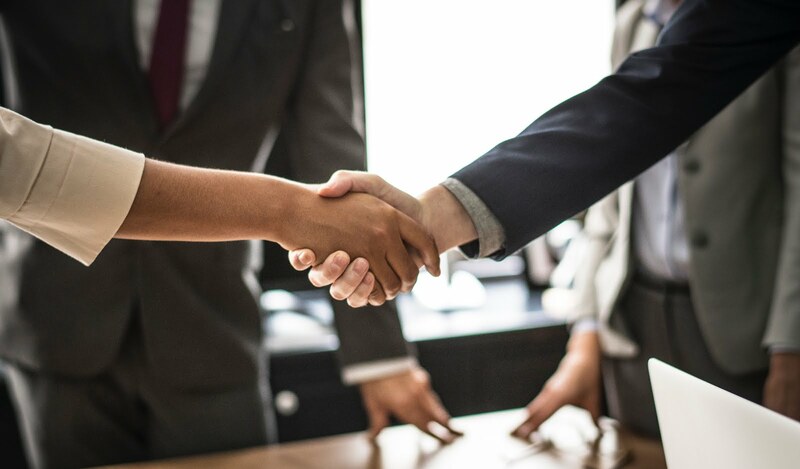 Whether your supply chain involves a partnership between two small companies or multiple larger ones, there's a lot at stake when it comes to building strategic, mutually beneficial and trustworthy relationships with suppliers. An ideal balance of power between partners requires both to engage in good-faith communication about current throughput, future business direction and pertinent details regarding strategy. Sometimes, keeping in touch can be simple and straightforward, with points of contact from partnered companies simply comparing notes regularly. For more complex supplier relationships, exchanging regular communication and operational data over a software-based supply chain management system is more appropriate. Suppliers represent the lifeblood of your supply chain. Withholding information from them or making unreasonable demands is the quickest way to undermine what should be a harmonious association. As an additional note, choosing your suppliers strategically, and prioritizing those that maintain a focus on the region they call home, can yield a partnership that puts more money back into local economies than a partnership with a larger or faceless multinational company. The timely flow of data has become essential for the smooth functioning of most of our industries, organizations and institutions. The process of exchanging data is a tool for strengthening your ties with the other entities you do business with. What about your relationships with the vendor supplying the software? You might rely on SaaS vendors for automation of backend functions and supplying actionable business analytics, as well as tools for enterprise resource planning, sales forecasting, reordering of supplies, facility layout and redesign. As your business plans and in-house capabilities change, your relationships with software providers might have to change, too. Are you paying for software licenses you no longer need? Have any of your workflows changed to the point where your existing planning software is no longer a good fit? Take stock of the service providers you rely on to get your work done and re-evaluate any relationships that don't seem to be delivering a satisfactory ROI. This includes finding a vendor who's better suited to the specific place within your supply chain. Every level of government, be it local, state or federal, must always be invested and involved in business, much as we like to pretend otherwise. In the supply chain, being mindful of the regulatory landscape, as well as your industry's relationship with the government and public interest groups, can help keep you from making avoidable errors and facing harsh penalties. It can also open doors for you, in the form of incentives and business grants. For example, a working relationship with a local chamber of commerce — it's easy to find the one in your region — might yield discounts from other businesses or invitations to conferences and events. Companies may also be recognized or incentivized for their commitment to lean operations, inclusive hiring, environmentally friendly operation and regular re-investment in the community. Never underestimate the value of a solid relationship with the trade press in your industry. One of the ways even bit players within the industry establish a presence and a voice in the media is by knowing how to catch the eye of relevant influencers. It's not as easy as it sounds, though. In the supply chain and elsewhere, would-be customers are good at identifying paid mentions and product placement when they appear online. Trust is low in so-called native advertising and other kinds of promotions, so the quality of your referring content, and the context it finds itself in, needs to be unimpeachable. The voices doing the reporting in your industry want to see businesses worth talking about, whether it's something novel about how you operate or the amount of rich educational content you offer on your blog or webpage. Produce link-worthy content tailored to specific media channels, answer common questions from your field on a public forum or stake out a pro-social or pro-environmental stance in your industry. All this can yield longlasting relationships with journalists and others who want to hear about how business is changing with the times. In what way are you exceptional — and who in the world might find it compelling? These are the people who can speak about your company in an honest, natural way. With these things in mind, you should be well on your way toward building or strengthening the relationships your supply chain company relies on each day. It's a candidate's market out there. With job openings on the rise and unemployment on the decline, it's been a very merry year for applicants in Procurement and Supply Management. 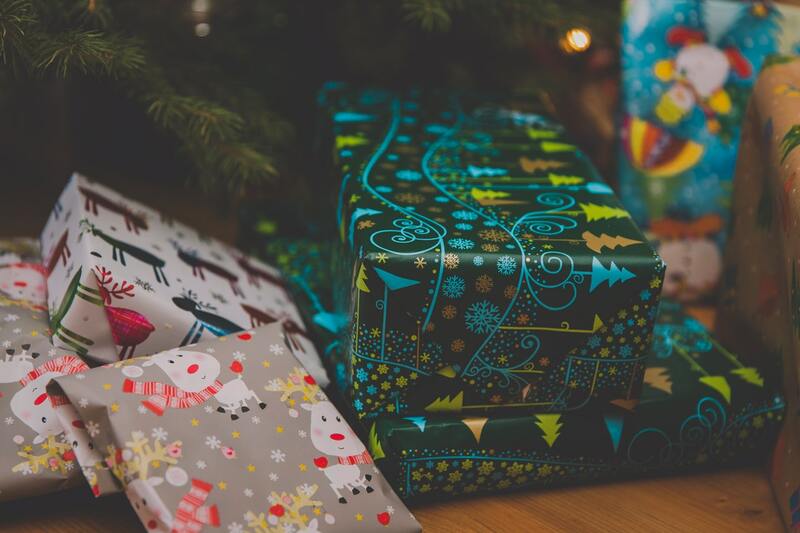 Even if they've spent 2018 pouting and crying, world-class talent should expect a number of gifts from prospective employers. Here are some of the season's must-haves for job seekers. Back in 2015, Harvard Business Review and Ernst & Young conducted a study into the importance of purpose-driven business. Business leaders, they found, strongly agree that a clear purpose makes for more satisfied employees, more successful initiatives, and more loyal customers. Purpose, which the study defined as "an aspirational reason for being which provides a call to action for an organization . . . and provides benefit to local and global society," is also a distinct asset throughout the recruiting and hiring process. Applicants want to know that they'll quickly make an impact both internally and externally. At work, it's important their efforts are tied to a clear ROI that resonates across the business. Perhaps more importantly, however, they want to work for an employer that defines purpose in non-financial terms. Young professionals are increasingly passionate about social issues and increasingly skeptical that business leaders feel the same. They are eager to work for businesses that not only behave ethically and responsibly, but also lead the charge in encouraging other businesses to do the same. Recruiters and hiring managers should work to underline their company's purpose during every stage of the staffing process. From the job listing through to on-boarding, emphasize the importance of the business' shared vision. Take care, too, to remind the candidate of the essential role they'll play in carrying out this mission. Continually emphasizing purpose will both attract leading applicants and ensure peak performance once you've brought them on-board. While the rise of remote work suggests that young professionals are increasingly independent, that doesn't mean they're looking for hands-off managers. Quite the contrary. Millennial professionals are accustomed to a never-ending feedback loop. They're constantly in touch with their peer network, and there's no reason their interactions within the office should be any different. Consistent communication and ongoing feedback are as important as ever for maximizing both results and retention. Gallup has repeatedly found that annual performance reviews are no longer sufficient for communicating expectations and driving professional growth. They report that a staggering 87% of employees describe themselves as disengaged. More regular feedback is a low-cost way to reverse this trend and better appeal to top-notch candidates. It's important that organizations get off on the right foot with candidates. Consistent communication throughout the hiring process sends a clear message. It not only suggests engagement, but it sets an expectation for an applicant. More specifically, it provides a sense of what your company's approach to communication and feedback looks like. On the end of the spectrum, a drawn-out process characterized by radio silence sends a far less positive message. It's abundantly clear that the classic nine-to-five model is outdated. Entitled millennials aren't the only ones looking for more variety. This year's Global Talent Trends survey found that more than half of professionals wish their employer offered more flexible options. Flexibility is particularly important to parents in the professional world. A 2016 FlexJobs survey saw 84% identify flexibility as the single most important factor in making a job selection - even higher than salary! The definition of work-life balance is evolving and the expectations around it are changing. Professionals of all ages know that a more customized approach to their day-to-day can help reduce stress and even boost their productivity. Too often, however, flexibility is treated as a privilege rather than a central component of company culture. Doing so might suggest a lack of trust that will only compound an employee's frustration. Flexibility should come up early in the hiring process. Like more regular feedback, it's something that just about every applicant wants but relatively few will go ahead and ask for. Hiring managers might even consider establishing a flexible interview process that empowers the candidate. A remote interview, for example, provides the candidate a sense of comfort and communicates trust on the employer's part. While companies must remain wary of applicants or employees who abuse flexibility, they'll generally find that leading professionals validate their trust. Are visions of a stressful hiring process dancing in your head? Reach out to Source One's Supply Chain staffing specialists today to start building a best-in-class team. Happy Holidays! Last week, a collection of watchdog groups including Toxic-Free Future and Mind the Store published the results of a study on the packaging offered by five major grocery chains. Whole Foods, an organization that prides itself on healthful, sustainable offerings, ranked worst of the five. While the Amazon-owned chain keeps a list of "unacceptable ingredients for food" containing everything from aspartame to vanillin (from artificial sources), both its food bars and bakeries have been serving customers a far more hazardous additive. More specifically, the high levels of flourine present in Whole Foods' take-home containers suggests that they were treated with per- and polyflouroalkyl. 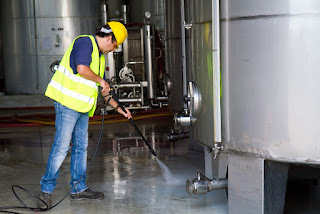 Colloquially known as PFAS, the chemicals are typically used in consumer products to protect from grease and water damage. This repellent quality makes them an especially popular choice for food packaging like fast food wrappers or pizza boxes. They are so prevalent, the report states, that "virtually all U.S. residents have PFAS in their bodies, and babies are born with PFAS in their umbilical cords." Unfortunately, experts suggest they're far from harmless. Laboratory research has linked the chemicals to a number of potentially fatal health concerns including cancer, thyroid hormone disruption, and decreased response to vaccines. PFAS have also come under fire for their deleterious environmental impact. Since so many PFAS-rich packages are also both single-use and non-biodegradable, they sit in landfills and ultimately contaminate water, soil, and wildlife. In certain regions, including suburban Philadelphia, PFAS-contaminated drinking water was a hot button issue during this year's mid-term elections. 2018 even saw San Francisco become the first U.S. city to ban PFAS outright in all single-use food packaging. This amendment to the city's environmental code goes into effect on January 1, 2020. In an ironic twist of fate, Whole Foods selected the packaging in question (the Bio-Terra II) as part of a sustainability initiative. 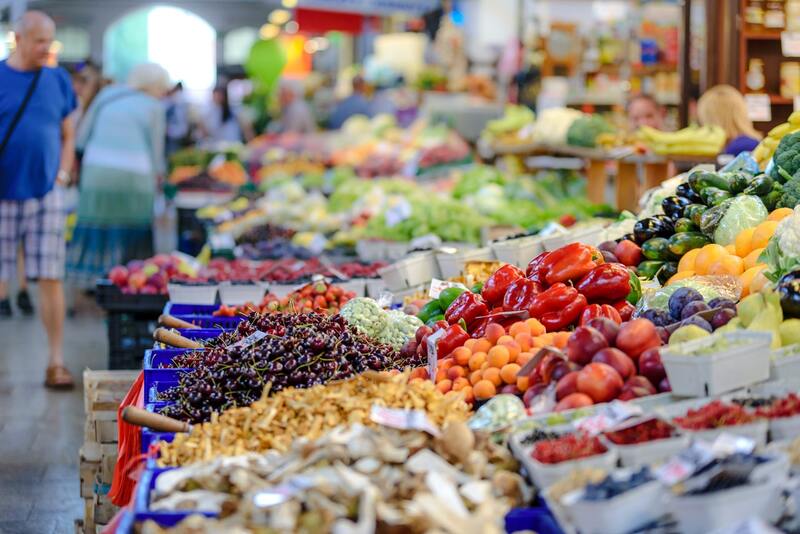 Their response to the study reads, "Whole Food Market introduced compostable containers to reduce our environmental footprint, but given the concerns about the possible presence of PFAS, we have removed all prepared foods and bakery packaging highlighted in the report." Now, the company is engaged with suppliers to identify bio-degradable packaging that will help it promote sustainability without potentially poisoning its shoppers. I got the most shocking news of the season over the weekend – my wife’s coworker has never seen the modern(ish) Christmas classic, “National Lampoon's Christmas Vacation.” Being unable to reconcile this emotionally, all I could do was watch it (not for the last time this year). Emotional state confirmed – still as great a movie as ever. As a Procurement pro, however, a few things always stick out to me. Let’s start at the very beginning. The film’s intro sees Santa visiting our old buddy Clark Griswold. Why here? Why now? Simply because his name begins with a “G.” That’s right – of all the route optimization strategies, this guy is travelling the globe in alphabetical order. He doesn’t hop from neighbor to neighbor afterwards, either. This guy is flying in and out of the neighborhood for a single delivery. Talk about inefficient! The whole thing got me thinking: Who’s up there planning this logistical nightmare? We’ve already identified an inefficient delivery system, bouncing from house to house randomly. What else is wrong? I’ve put together a few items that I’ll be sending up north for review later. Redundancy. The winding path Santa takes across the globe is dangerous, heading through literally every weather pattern the globe could experience that day. 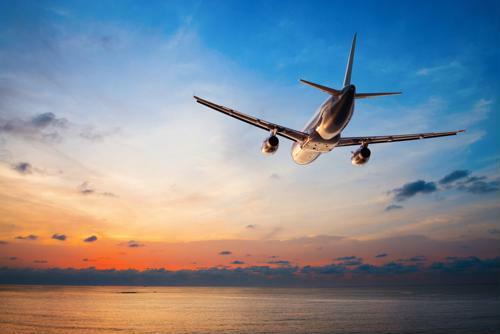 Is air transport always going to be the best choice? Investigating land and sea shipping lanes would not only add some much needed redundancy, it would help avoid the dangers of an air-only strategy. Distribution center. Regardless of the mode of transportation, all product is flowing out from a single point of distribution. A better system would see regional distribution points to better serve the many geographies in play. Customer service. Speaking of that single, far off distribution center, let’s talk about how orders come in. Of all the technological advances we’ve seen, the over-reliance on physical mail deliveries of Christmas wish lists seems… dated. I envision a Sugar Plum Portal, allowing users to set up accounts and populate wish lists in real time. This portal can, in turn, be tied to an inventory management system on the production side. Look, I can’t say that I know Santa’s game better than the big guy does. He’s been doing this a long time. But isn’t that part of the problem? The problems I cite above are real concerns for any operation. Being able to anticipate and respond to disasters and optimize the distribution process are important. But another important element is making sure we’re constantly going back to the board and evaluating our strategy in a critical fashion. Just because our current setup worked yesterday doesn’t mean it will tomorrow. Likewise, the suppliers we use may have been good partners historically, but are we getting the same great service at competitive rates that we did at the beginning? Just a few things to think about as you get your ‘nog on this holiday season. Marketplaces are making a comeback, and the Sourcing Doctor is not pleased. Why not? "Because," he writes, "they were never designed as full-fledged solutions for Procurement professionals." They simply do not function as Procurement solutions. They provide sellers with limited control and few options to negotiate and amend their pricing. Your typical marketplace also comes up short where account and payment tracking is concerned. Few are advanced enough to support Procurement's bulk purchasing needs. He concludes by reminding readers to be wary. Today's marketplaces serve their B2C purposes well, but they're sorely lacking in the B2B sphere. 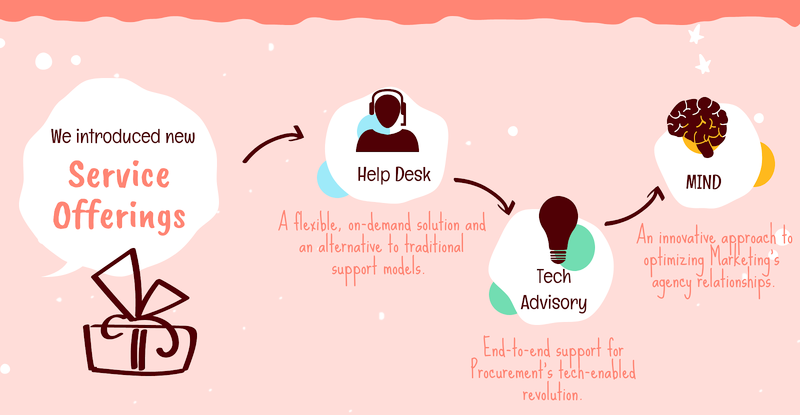 Ideson concludes his series challenging Procurement's most common misconceptions. This time around, he sets his sights on the notion that stakeholders are naturally opposed to working with Procurement. Even if this lack of enthusiasm exists, Ideson suggests that Procurement should work hard to avoid internalizing it. By listening with an open mind, introducing suggestions rather than commands, and crafting more tailored messages, Procurement can begin to work through any existing conflicts and better engage its peers. Hackett's latest report on digital transformation has found that top-performing organizations have already realized considerable benefits through automation and optimization. For example, 21% of respondents have lowered their labor costs and and 29% now maintain peak performance with fewer-than-average full-time employees. These top-performing businesses also see better rates of retention and fewer process inefficiencies. The findings suggest that organizations must now follow the lead of these world-class organizations. While digital transformation will take time, it's clear that maintaining the status quo is no longer an option. Across Procurement, organizations are rushing to digitize their processes and distinguish themselves as innovators. All too often, their enthusiasm outstrips their preparedness and their initiatives fail before they've properly left the ground. Is your organization looking to implement Procurement software? You're bound to fail if you're making even one of these five mistakes. McDonald's to Beef Suppliers: "Hold the Antibiotics"
This week, fast food giant McDonald's announced plans to dramatically reduce the use of antibiotics in its beef supply chain. 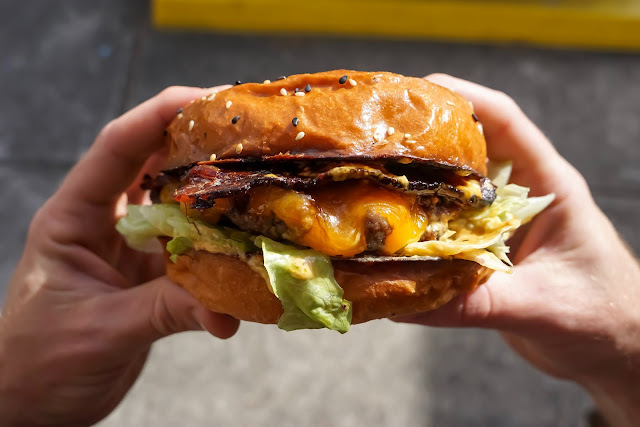 The hamburger chain intends to collaborate with partners across their ten largest beef sourcing markets to establish pilot programs before the year is out. Food producers have long relied on antibiotics to both protect the health of livestock and - more controversially - to promote growth. While precise data is lacking, Pew Charitable Trusts estimates that around 70% of America's medically important vaccines find their way into the agricultural sector. Rampant misuse and overuse has scientists concerned. The World Health Organization has named antibiotic resistance "one of the biggest threats to global health, food security, and development today." Antibiotic use throughout the agricultural value chain is recognized as a primary contributor to what has become a global crisis. As more and more drugs are distributed, bacteria adapt and grow increasingly resistant to treatment. In time, WHO and other organizations worry, these adaptations could make them ineffective for people. Antibiotic-resistant organisms currently infect at least 2 million Americans and kill another 23,000 every year. Changes in consumer taste and increasing pressure from advocacy groups likely inspired the move. Earlier this year, a collection of more than 80 stakeholder groups formally called for McDonald's to "establish a time-bound, meaningful, and verifiable policy" for eliminating routine antibiotic use from its pork and beef supply chains. Representatives even delivered a petition during the corporation's shareholder meeting in May. McDonald's operates nearly 37,000 restaurants worldwide. By virtue of its size alone, the Chicago-based business has the potential to bring about a sea change in its industry. When the chain began to eliminate antibiotics from its chicken supply chain in 2015, competitors including Chipotle and Subway quickly followed suit. This more recent announcement already seems to have inspired similar action. Just one day after McDonald's outlined its ambitious plans, Wendy's announced a partnership with the Progressive Beef program. Aligned with this "innovative animal care and sustainability program," they aim to promote responsible antibiotic use as well as more humane and sustainable practices in general. Expect more food and beverage companies to do the same in the coming weeks. Not quite so, but they do sound rather enticing. Yes, all three notions are underlying perks that a career in management consulting provides. And yet, these are not the things that keep me on this career path. To better explain why, I would like to introduce the Japanese concept of Ikigai, a term for ‘a reason for being’. The philosophy is to balance your passion, mission, profession, and vocation to find worth in one’s own life. There are things that one is good—skills that one can develop and success to be made. That which one loves could add meaning to the daily activities in one’s life. Moreover, one should also look at how to receive proper compensation and net worth for the sweat on one’s brow. Lastly, the world can be changed by one’s action, value to be added and earth to be moved. These components indicate the source of value in one’s life, and profession has a major role in finding fulfillment and meaning to the actions and beliefs of an individual. For me, personally, management consulting has been all about finding value and placing meaning behind it. Consulting has tremendous influence on individuals, companies, and even entire markets, yet this line of work also produces a natural environment for self-development and growth. There have been times where I might have been unsure of myself and where to begin on a project, but I believe it is alright to not know why initially. What matters is to adapt and learn from the constant challenges that occur in consulting. One recent example was engaging with suppliers on behalf of our clients. Some suppliers are hesitant to share data, feeling unsure of the initiative that my firm pushes for the client. I enjoy the need to seek multiple means of creating value, and not every question has just one answer. I could try to follow up on all their interjections, but that would waste crucial project time. I could also be demanding, but that would hurt client-supplier relationship. One of the key design of consulting is that there are multiple avenues to approach a project and get results. Being able to figure out your own method and making sure that method could be the best one for a particular case is an interminable struggle, one that forces you to reinvent the wheel. I chose to be firm in what was necessary, giving clearer explanations and reaffirming the directive of the project to assure the supplier that we were not targeting the vendor itself. Consulting provides multiple opportunities where I felt that my previous methods were either out of scope or underdeveloped, allowing me to better take on new business opportunities in the future and develop my skill set. One proverb I have heard is that the secret to happiness is helping others. Consulting is literally the occupation of helping others. Although I have yet to find the secret to happiness myself, client-facing interactions have been one of my most enjoyable moments in consulting. Clients oftentimes come to my company to find inefficient areas to improve and new strategies to develop. Client engagement has been a broadening experience because each client I have listened to so far have had their own unique set of issues and perspectives, and, at the same time, they also share some similar interests and objectives. One of the qualitative values that clients stress is the importance of robust and positive supplier relationships. In my experience, there have been cases where clients moved away from partners with noncompetitive solutions or service issues. There are other cases where a great relationship could be leveraged and negotiated by volume or length of relationship. Being able to understand what my clients want to develop is something special, for it places responsibility onto me to make it so. I enjoy executing both tested and innovative methods to achieve results in this line of work. Consulting is a career that is very high-level in scope where broad strokes and precise etchings can truly drive value for organizations. This career, therefore, requires specific category expertise. It has given me insight into a diverse set of categories from logistics to staffing to indirect materials. There is incredible range of experiences and projects that provides amazing learning opportunities to take to industry. Many of my senior colleagues oftentimes have expertise in a single or a couple categories that provide a great wealth of knowledge into the strategies and project management of the work. Consulting is a field where collaboration is vital to project success, and coworkers are usually more than happy to foster growth and interest into their field expertise. Over time, as new categories arise and your own abilities improve, consulting provides the means to make specialization an area of success. Overall, it would sound fulfilling that I am content with where I have right now. But, I am not, and the reason is my choice of consulting as my career path. Consulting pushes you to be ambitious, ever striving to find improvements and drive value. It has a high learning curve and time commitment, but it is a pursuit that pushes you to evolve and adapt. To me, being able to find meaning is not necessarily the same thing as finding comfort. Everyone has something that strikes a fire in their belly, and it may just be simply money, power, and respect, but for me, consulting is a very complex career path with nuances that forces me out of my comfort zone and pushes me to make my life worthwhile. 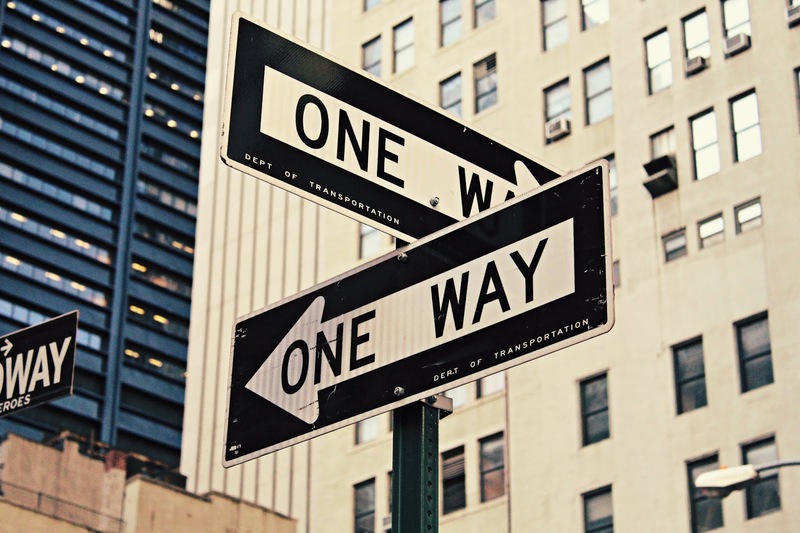 Why do so many P2P implementations come up short? Mignona offers several common reasons including a lack of internal alignment, poor stakeholder engagement, and ineffective training programs. Organizations often pursue technologies in the hopes that they'll quickly and definitively solve their biggest challenge. When they make even one of these mistakes, however, they tend to find themselves with even more problems than they started with. Socially responsible Supply Chain Management is no longer optional. 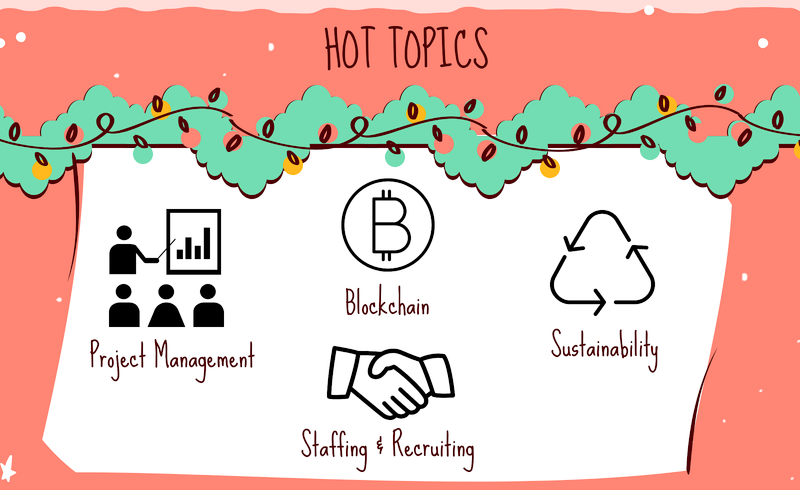 Organizations that want to satisfy their costumers and outpace their competitors have made the Triple Bottom Line a major component of their culture. Data analytics, too, has evolved from a luxury to a necessity in recent years. Markowitz suggests that by accessing and applying supplier CSR data organizations can ensure they work with responsible partners and deliver on their sustainability goals. This time of year especially, the idea of inclement weather is keeping Supply Chain Managers up at night. Seipel offers suggestions for organizations looking to safeguard their routes and shipping lanes against the unexpected. You can't control the weather, but you've got a great deal of control over how your organization responds. A little extra planning could save Procurement a whole lot of both money and effort when the next weather emergency strikes. Why Should I Care About Spend Analysis? Procurement professionals have a lot on their plates these days. It's not entirely surprising that so many consider a spend analysis one task too many. In this episode of the Source One Podcast, Seipel reminds listeners that the potential ROI of a spend analysis tends to far outweigh the costs. Clamping down on maverick spend, identifying inefficiencies, and producing savings, spend analyses should occupy a prominent place in any organization's sourcing strategy. Not everyone, according to Spend Analysis Lead Brian Seipel. On this week's episode of the Source One Podcast, he separates organizations into two distinct groups. One group is made up of believers. They've seen the value a spend analysis can bring and, as a result, they've outlined clear processes for conducting them. The other group - an unfortunately large one - includes companies who rarely think about spend analysis at all. It's hard to blame these organizations for taking a hands-off approach to managing their spend. "Let's face it," Seipel says, "you and your team have your collective hands full keeping the Procurement trains running each day." With an ever-evolving list of concerns and responsibilities, spend analysis can look like one task too many. Seipel acknowledges that cleansing and classifying spend are often time-consuming processes. He's adamant, however, that the potential benefits of a thorough spend analysis far outweigh the costs. These benefits also go far beyond cost savings. For example, a deep dive into historical purchasing might reveal hidden opportunities for supplier consolidation. Pursuing these opportunities won't just cut costs, but will provide for more efficient processes and a more easily managed supply base. Instances of maverick purchasing, too, might come to the surface following a spend analysis. By analyzing spend and comparing it to on-contract items Procurement groups can identify the source of off-contract purchases and address the issue before it becomes out-of-hand. Simply put, organizations that disregard spend analysis are hampering their potential - at best. At worst, they could be closing their eyes to rampant non-compliance and process inefficiency. "By performing our spend analysis," he concludes, the organization arms itself with a wealth of new insights and gains full visibility into its supplier relationships. "Only then, can we effectively manage our spend." Long a lightning rod for controversy, the fashion industry has weathered another turbulent year. Luxury retailer Burberry, for example, spent the summer on damage control after its history of decidedly wasteful practices came to light. On the other end of the affordability spectrum, fast fashion label H&M saw its own (oft-discussed) commitment to sustainability called into question. 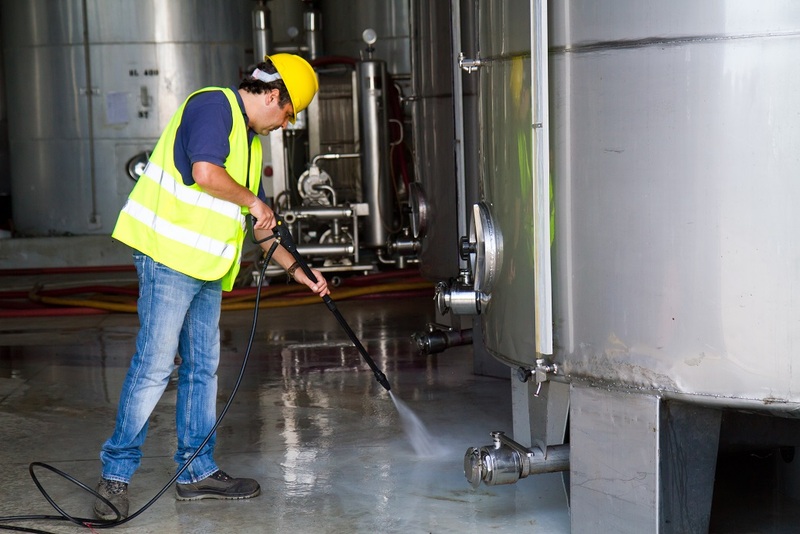 This week, both organizations announced they would not only clean up their own operations, but collaborate with peers and competitors to promote sustainable practices industry-wide. They are just two of the 43 companies that have signed the new Fashion Industry Charter for Climate Change. Sponsored by the United Nations, the agreement also counts fashion giants like Adidas and Hugo Boss, global shipping company Maersk, and the World Wildlife Fund among its participants. These initial signatories hope they won't be the last. Their Charter, which aligns with the Paris Agreement's goals and objectives, remains opens for additional organizations to join. Designer Stella McCartney has already proven a particularly vocal advocate for the Charter and its mission. "Climate change," she remarks, "is one of, if not, the biggest challenge of our lifetime . . . I want to call on my peers in the business, from other brands to retailers and suppliers, to sign up to this charter now. Collectively we have a voice and the capacity to make a difference." Among the Charter's most ambitious goals is the commitment to a zero emission industry by 2050. Other initiatives will see companies decarbonize their production processes, select more climate friendly materials, identify low-carbon transit options, and work alongside policy makers to introduce new solutions throughout the coming years. In the nearer future, participants have agreed to eliminate coal-fired power from their supply chains by 2025 and reduce carbon emissions by 30% before 2030. "To make concrete progress on these commitments," a UN spokesperson writes, "six working groups have been established in which signatories will work to define steps for implementation." These groups intend to convene as early as January to begin these efforts. 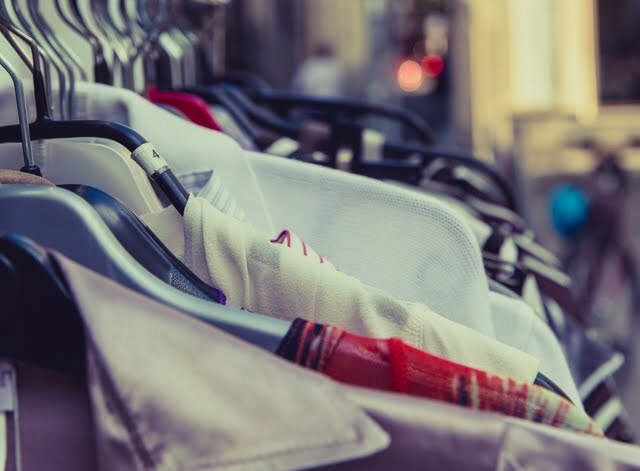 Through textile production alone, the fashion industry currently releases more greenhouse gas emissions than all international flights and maritime shipping combined. It's also estimated that the sector's emissions could rise by over 60% within the next ten years. Presumably, this stark reality has contributed to some of the skepticism around the agreement. Fashion United reports that critics are especially wary of 'fast fashion' companies like H&M and Inditex. Speaking with the outlet, Hester Hoogerwerf says, "Frankly spoken, I find it hard to explain how fast fashion can contribute to a more sustainable world." The Interim Manager of Sourcing & Development at Fashion Consult continues, "It's in the nature of these companies to produce clothes that are not to last very long." By design, such companies over-produce and encourage shoppers to over-consume. Truly delivering on the Charter's promises, Hoogerswerf suggests, would require nothing short of a total overhaul to their business model. Charter members are significantly more optimistic. "The fashion industry is always to steps ahead when it comes to defining world culture," notes UN Climate Change Executive Secretary Patricia Espinosa. "The Charter, like the renowned fashion runways of the world, sets an example that I hope others will follow." With climate change top of mind for consumers and Supply Chain Managers everywhere, expect the Fashion Industry Charter for Climate Change - and partnerships like it - to continue making headlines in the new year. Spend Management is rarely simple, but it's often particularly complicated in the Maintenance, Repair, and Operations (MRO) category. Whereas some categories include a small selection of SKUs, the MRO category includes thousands and thousands (and thousands). One-off purchases are regularly made at the site-level with little mind to long-term cost effectiveness and sustainability. When sites are spread across a wide geographic region, communication is often less-than-transparent. All these challenges make for a spend category where maverick purchasing and process inefficiencies can quickly get out of hand. Eliminating either requires a strategic and methodical approach to correcting Procurement's shortcomings. Source One's Procurement specialists offer a step-by-step guide to tackling the category in their latest whitepaper series. Published in four parts, MRO Demystified presents actionable tips for organizations looking to repair their approach to MRO spend and realize greater strategic value moving forward. Haven't had a chance to download it yet? Check out some key takeaways below before diving in. Outlines the complications associated with MRO spend. Examines the flaws in taking either a decentralized or centralized approach to the category. Advocates for a customized, hybridized approach to optimizing MRO purchases. Maps the process for conducting an effective spend analysis. Provides guidance for Procurement teams looking to select the right spend taxonomy. Offers tips for turning raw data into action by identifying savings and consolidation opportunities. Details the typical Strategic Sourcing process and applies it to the MRO category. Describes the outputs and inputs relevant to a world-class sourcing process. 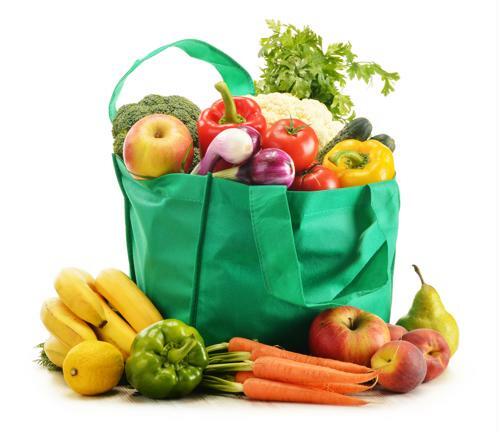 Presents best practices for market basket development and other components of the sourcing cycle. Explores best practices for managing MRO spend in the long-term including Punch Out catalogs, Vendor Managed Inventory programs, and more. 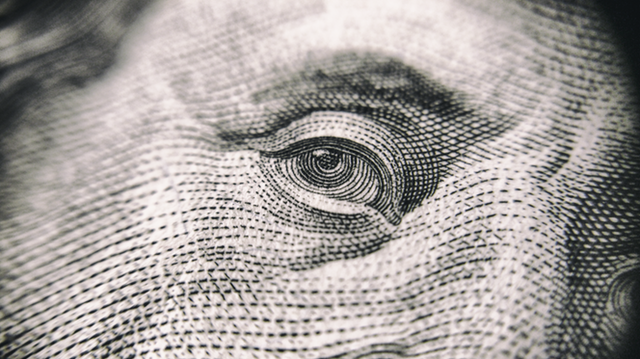 Breaks down a ten-step process for strategically approaching tail spend. Cautions Procurement teams against becoming too comfortable with any one strategy. 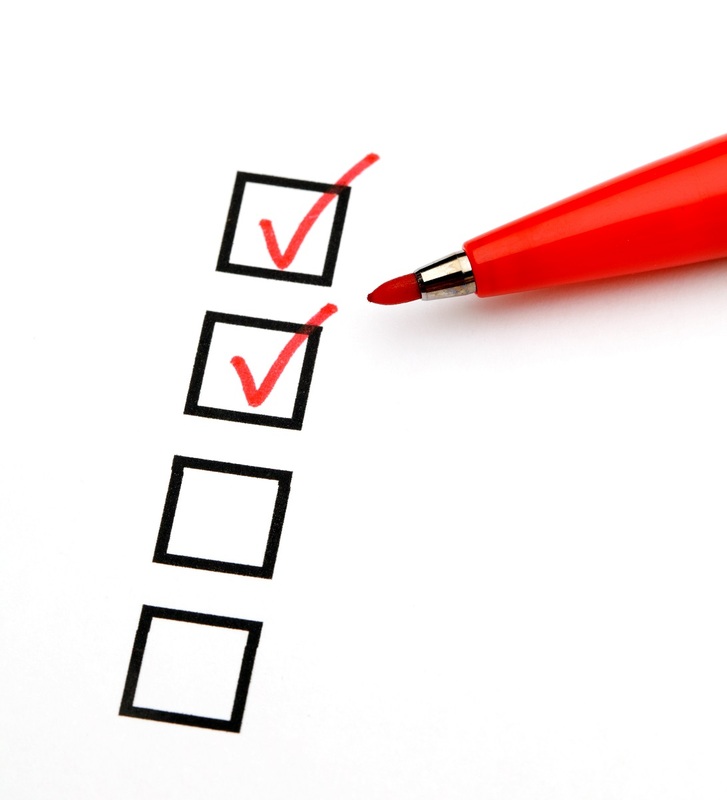 Don't let a complicated category overwhelm your Procurement team. Download all four installments today to take the first step in developing a world-class approach to managing MRO spend. Wait – don’t stop reading. Seriously. Don’t get me wrong, I realize why you’d want to. This bit of business speak has been overused to the point of becoming meaningless. It’s a challenge every management team has placed on every team performing every function in an organization for years. And, you know what? That’s a shame – because there are opportunities to think outside the box to achieve amazing results. Let's talk about a relatively common category of spend – air & gases. If we worked for a brewery, for example, we’d be spending a good bit of money to buy the gases needed to carbonate our beer. These gases aren’t cheap – anything a brewery can do to reduce this cost will help the bottom line. So let's go to work. Projects in this space follow a pretty typical process. In other words, we’re going to break out a pretty reliable and pretty heavily used set of tools from our toolbox. We may seek to go to market with an RFQ or RFP, intending to use supplier consolidation to drive cost savings through a common enough carrot/stick combination (“Win more of our business with a competitive bid… or do poorly and lose it all”). If we do well, we might save, say, 10% of our annual spend on gasses using these strategies. Not bad. But let’s think outside the box. What if we could reduce the need to purchase these gases in the first place? Cutting the need for half of our yearly volume or more could dramatically reduce our production costs. Carbon reclamation technologies aren’t necessarily new, but they may not be utilized by breweries. They may have a home in larger operations, but smaller breweries may not have any such systems in place. However, there are firms that are helping smaller breweries implement these systems - So, what if our hypothetical brewery bucked the inside-the-box sourcing strategy and elected to research a reclamation system? Not only are you eliminating a large portion of purchase needs, you’re also able to capture and reuse a high-quality, contaminant-free CO2 product. What Makes this “Outside-The-Box” Thinking? A lot of companies that purchase industrial gases view the transaction as a highly commoditized one. When going to market for commoditized products, we’re all conditions to view the event as one focused heavily on price. The more mission critical the product is (such as gases used in beer production), the higher the degree of product specification. However, checking those boxes off puts us back in the realm of pricing. Because of this, it can be easy to fall into the same old routine – get a few bids, make a buy. This is what makes thinking outside the box challenging – we have to force ourselves to reconsider that tried and true path. What other trails could we take instead? It isn’t always easy to blaze a new trail. Attempting to do so won’t always be a success. Yet bringing about real, impactful change will often require this type of thinking. After all, you can’t get somewhere new by following the same old path.